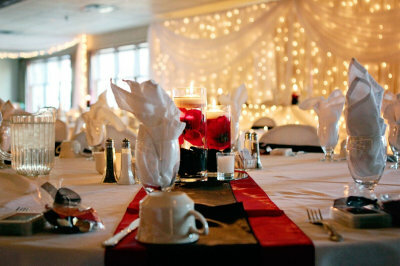 Breezy Point Resort’s banquet chefs are specialists in their field. Our great food is one of the reasons our weddings are such a great success. From a small groups served quietly in a private room, to our specialty “Taste of Breezy” food stations to a formal wedding, our food and service is second to none. Download and print our Catering & Banquet Menu to help with your planning.